There shall be a minimum of seven (7) Members external to Cornell (3-year term, renewable). Preferably, external members will be alumni with expertise in engineering or physical sciences and/or entrepreneurial success and/or experience as a professional investor in engineering or physical science ventures in the venture capital and/or industrial context. John E. Alexander (Cornell AB ’74, MBA ’76) is the founder of The CBORD Group Inc., a systems integration firm based in Ithaca, NY. He earned an undergraduate degree in physics and an MBA in finance while at Cornell. Immediately after graduation, he was vice president in the Money Market Division of Bankers Trust Company (now Deutsche Bank.) in their Eurodollar trading operation. As President and CEO of CBORD, Mr. Alexander led CBORD through 29 years of growth. The CBORD Group, founded in 1975, is the world’s leading provider of campus and cashless card systems, food and nutrition service management software, nationwide student discount and off-campus commerce programs, housing and judicial process management software, and integrated security solutions. Mr. Alexander stepped down as the CEO in 2004 and from the board in 2008 after the acquisition by Roper Industries. Mr. Alexander was elected to Cornell’s Board of Trustees by the alumni body to a four-year term beginning July 1, 2000, and was reelected in 2004. He has served on numerous committees, and chaired the Audit Committee for 3 years, taking the university through the Sarbanes Oxley process. He currently serves at a Trustee Emeritus and Presidential Councilor. He serves on the advisory councils of the Entrepreneurship@Cornell (E@C) Program, the Johnson School, and is the alumni advisor to the Johnson Board Fellows program and BR Consulting. He also serves on the community advisory board of the Johnson Art Museum. He was the 1987-88 Dorothy M. Proud Lecturer at Cornell’s Division of Nutritional Sciences. He currently chairs the executive committee of the Sphinx Head Society, Cornell’s first undergraduate honor society. Ernst and Young selected Mr. Alexander as the Upstate New York Technology Entrepreneur of the in 2002. 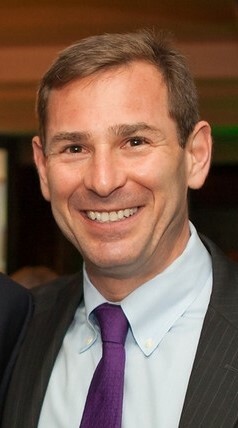 Cornell selected Alexander as its 2012 Entrepreneur of the Year. John and Elaine Alexander were honored in 2014 as recipients of Cornell’s prestigious Frank H. T. Rhodes Exemplary Alumni Service Award for their service to Cornell. Eric Young co-founded Canaan Partners, an early stage venture capital investment firm, in 1987. Since then, Canaan has raised $5 billion in capital, making startup investments in over 450 newly formed companies that span the information technology and healthcare industries. Eric led Canaan’s investments in IT-based companies such as Copper Mountain Networks, Ebates, Enpirion, International Network Services, Kalpana, Lancope, ONI Systems, SandForce, Spectrian and Visigenic Software. Before starting Canaan, Eric was a SVP at GE Venture Capital, and previously held leadership positions in other GE operating businesses. An active proponent of skill development in young entrepreneurs, Eric serves as an Advisor to several Cornell-affiliated groups, including Entrepreneurship at Cornell, Cornell Silicon Valley, Red Bear Angels, Thayer Ventures, CoVenture and BR Venture Fund. He earned a B.S. in mechanical engineering from Cornell University and an MBA from Northwestern University. Steven Greenberg has over 20 years of operating and investing experience, having closed 30+ equity, debt, and M&A transactions totaling ~$5 billion. He is also the Founder and Managing Partner of Fox Meadow Capital Partners, a PE and infrastructure investment and advisory firm. Prior to that, he was a General Partner and top performer at Clarity Partners, an $800M PE fund, and a Vice President and top performer at Clarity’s predecessor, Rader Reinfrank & Co., a $100M TMT venture capital fund. While at Clarity, Steve founded ImpreMedia, which he built into the largest Spanish language newspaper company in the US as CFO/EVP of Corporate Development. Steve has also worked in investment banking and as a developer and investor in energy and utilities. He has a JD from Stanford, an MBA from Cornell, and a BS with distinction from Cornell’s College of Engineering. Steve teaches Advanced Private Equity at Cornell’s Johnson Graduate School of Management and serves on the advisory council of the Cornell Program in Infrastructure Policy (CPIP).